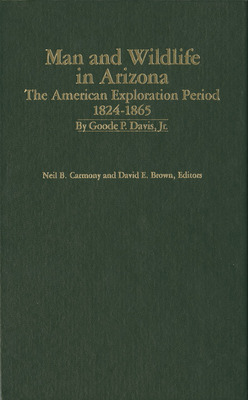 Davis, Goode P., Jr. , “Man and Wildlife in Arizona: The American Exploration Period, 1824-1865 ,” Arizona 100: Essential Books for the Centennial, accessed April 21, 2019, http://speccoll.library.arizona.edu/online-exhibits-dynamic/az100/items/show/182. “We feasted today on blue quail and, at night Stanly came in with a goose. ‘Signs’ of beaver and deer were very distinct; these, with the wolf [coyote], constitute the only animals yet traced on the river.” So writes William Emory on his trip along the upper Gila River in 1848. 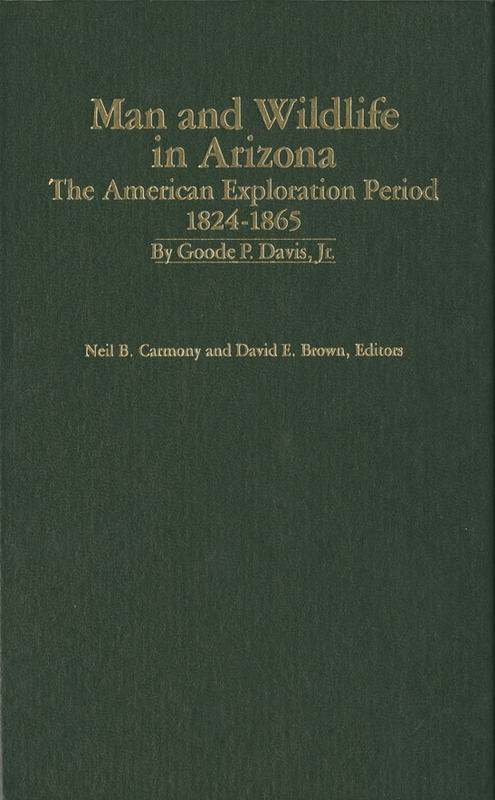 His account, as well as dozens of other pioneer diaries, helped Goode piece together a picture of the types and numbers of wild game in Arizona between 1824 and 1865. 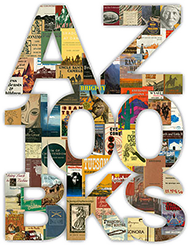 All parts of the state are represented, and the book forms a fine introduction to Arizona’s birds, fishes, and mammals. Phoenix : Arizona Game and Fish Department, 1986.
xvii, 232 p. : ill., maps ; 23 cm.